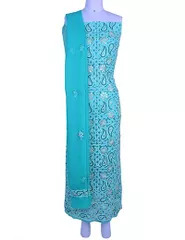 Display the class and eminence with this Rohia by Chhangamal Hand Embroidered Light Blue Cotton Unstiched Chikan Suit Length adorned with stunning Lucknowi Chikan embroidery. 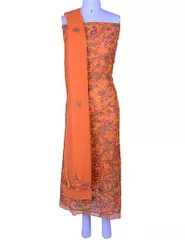 Featured in Cotton, this Unstiched Chikan Suit Length comes up with Shadow Work. 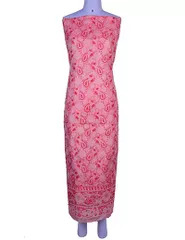 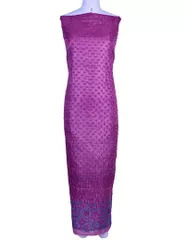 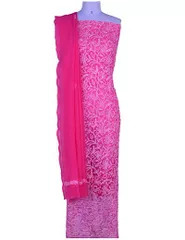 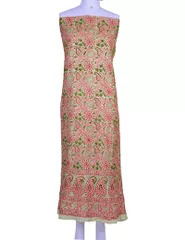 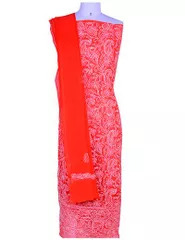 The intricate design and beautiful chikankari has majestic charm and will truly enhance your style. 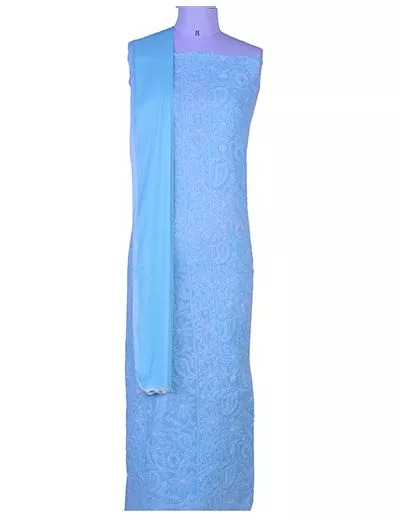 Flawlessly Hand Embroidered to absolute expertise with the most intricate chikan stitches like, "Murri Phanda" and "Front Jaal" using supreme quality threads.The Light Blue Cotton Lucknow Chikankari Unstitched Suit Length great surface truly shows recognizing quality of a talented laborer who designs the Chikankari work with Pleasance and style. 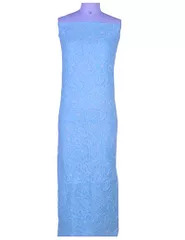 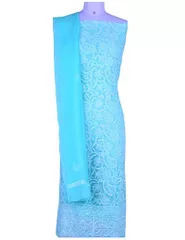 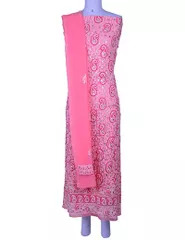 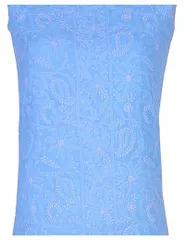 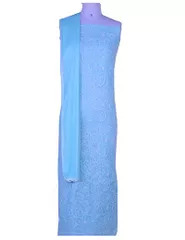 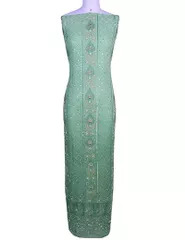 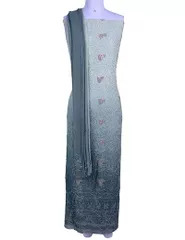 Streaming Gorgeously interplaying conventional style with contemporary elegance ,this Hand Embroidered Lucknowi Chikankari Unstitched Light Blue Suit Length is ideal for the today's carefree woman.